It has been an amazing summer for the Rae Gordon Band. 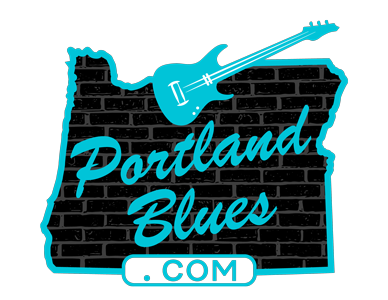 The band appreciates all the venues, both in Portland and out that treat our band and musicians in general like family. It felt like a family affair as always at the Waterfront Blues Festival and even up in Canada at the Iron Mountain Music Festival, when we met people up from Portland and Oregon City! We enjoyed hanging with our Washington blues brothers and sisters at the Poverty Bay Blues Festival in Des Moines. Special thanks to incredibly talented musicians and wonderful guys Garry Meziere, Michael Osborn and Jim Solberg who held the guitar and bass chairs while Kivett Bednar and Joseph Conrad had some away days. We finished up the year again at the Big Blues Bender in Las Vegas where at every turn there was somebody from Portland cheering us on. As a performer, being in a different state and seeing wonderful people from home is such a blessing. The temperature was WARM, but not as hot as acts from all over, including, but not limited to Kenny Wayne Shepherd and Sugaray Rayford. It was an honor to share the stage with our guys and then finish up the weekend sharing the stage with the likes of Bob Margolin, Annika Chambers, Terrie Odabi, and a cast of amazing characters. 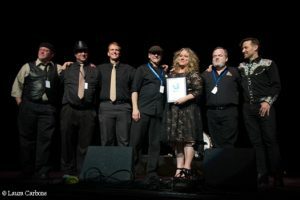 October 6th will find our band hosting the Portland Blues Cruise again to support the Journey to Memphis winners Fenix Project and Ben Rice, who are heading to the International Blues Challenge in January to represent the CBA at the International Blues Challenge in Memphis, Tennessee. It was an honor for us to represent the CBA in 2017 and take 3rd. We want these two acts to also do well and not stress about the money. So we look forward to you coming on board the Portland Spirit to help us help them. Consider going yourself to the IBC January 22-27th. It’s an amazing event, that our president has gone to for years and helped run one of the venues and it would be a blessing for our 2019 representatives to see your smiling faces in the crowd! This summer also found our CD Better Than I Was doing better and better with airplay across the US and abroad. As always we are grateful to everybody who supports not only us, but live music in general and keeps buying and singing along to our songs. Thank you personally to Pat McDougall, Kivett Bednar, Joseph Conrad, Scott Franklin, Allan Kalik, and Ed Pierce for an amazing summer.